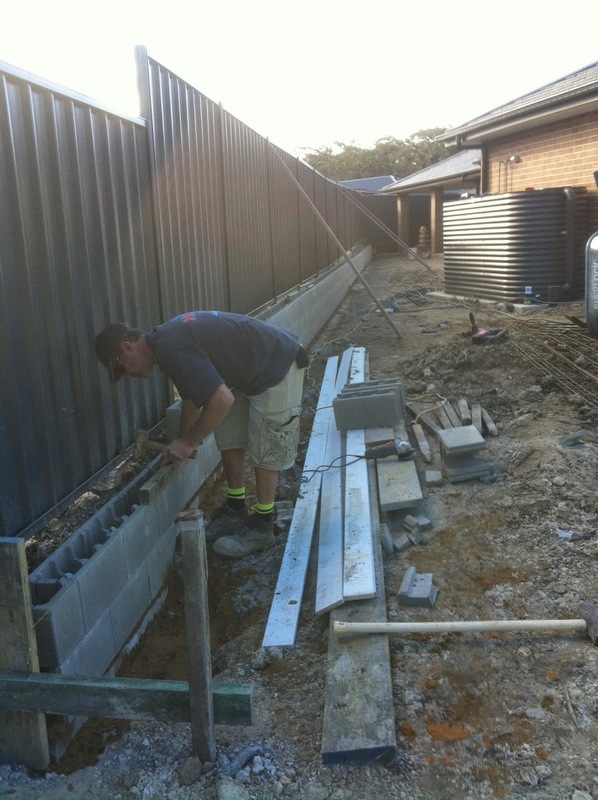 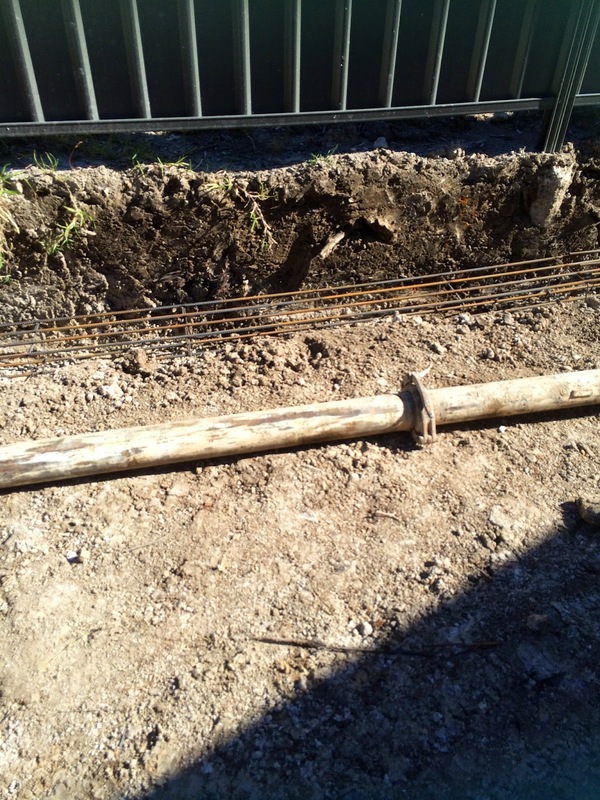 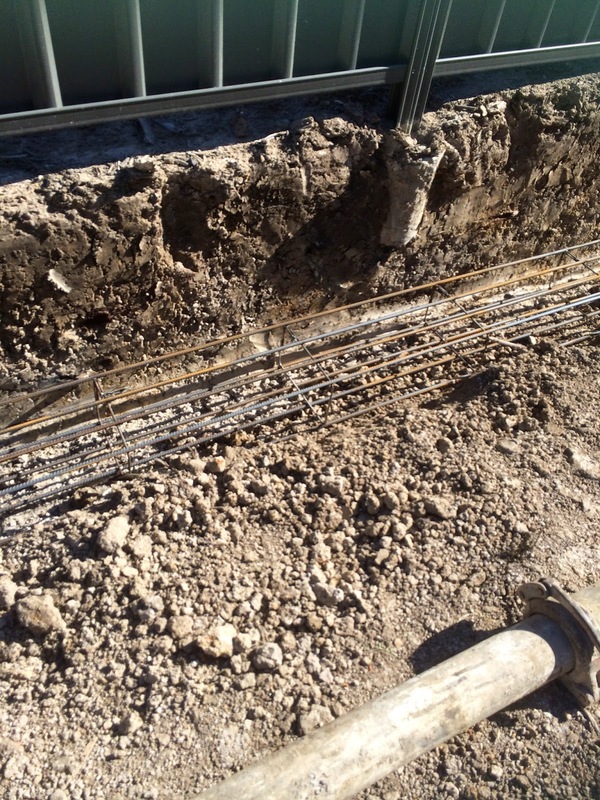 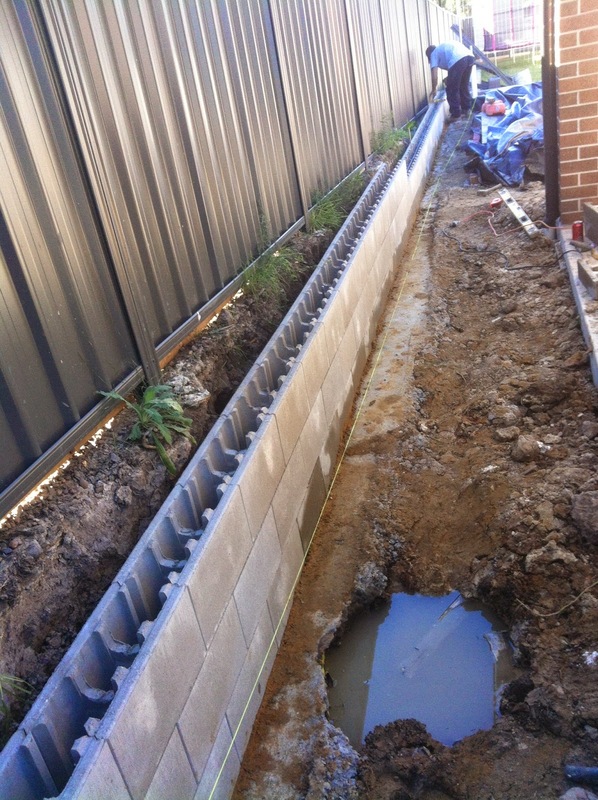 The day after handover hubby got stuck straight into getting the footings done for our retaining walls. 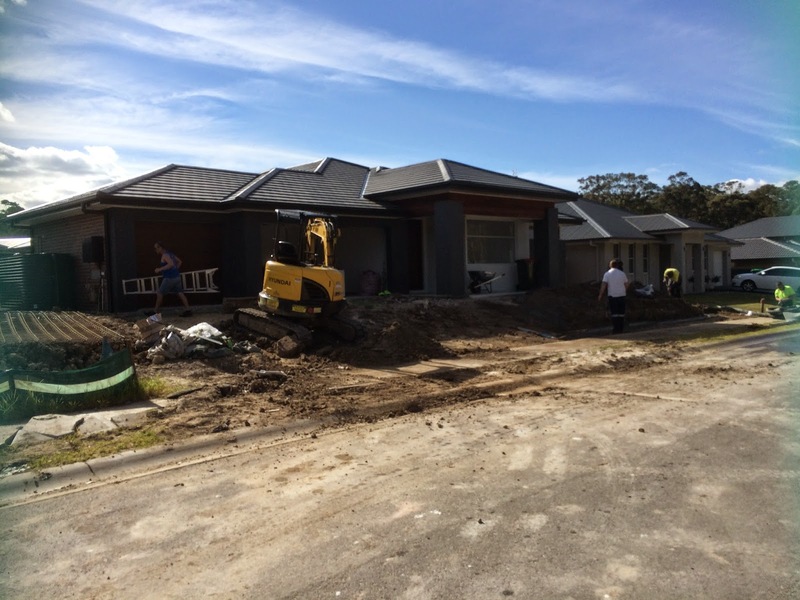 He got in an excavator to dig the footings along the front, and sides of the house, and hand dug the footings along the back fence line due to the lack of access. 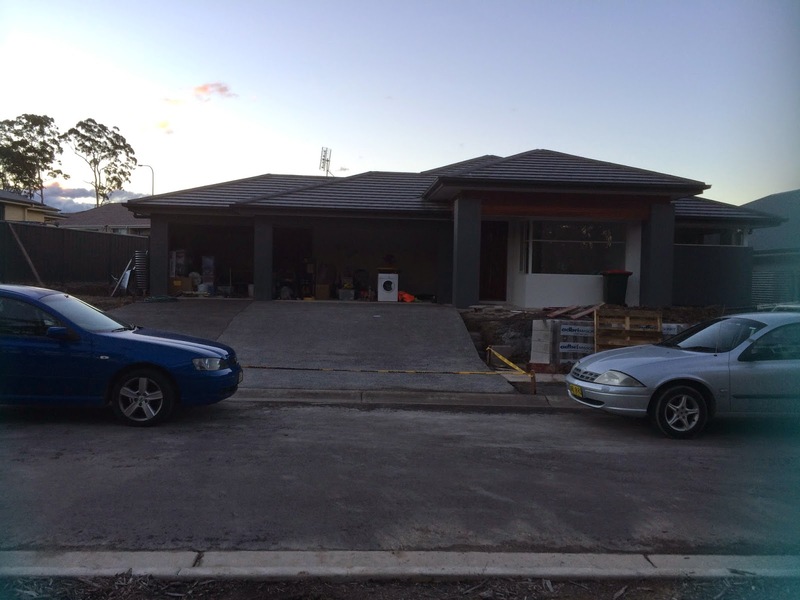 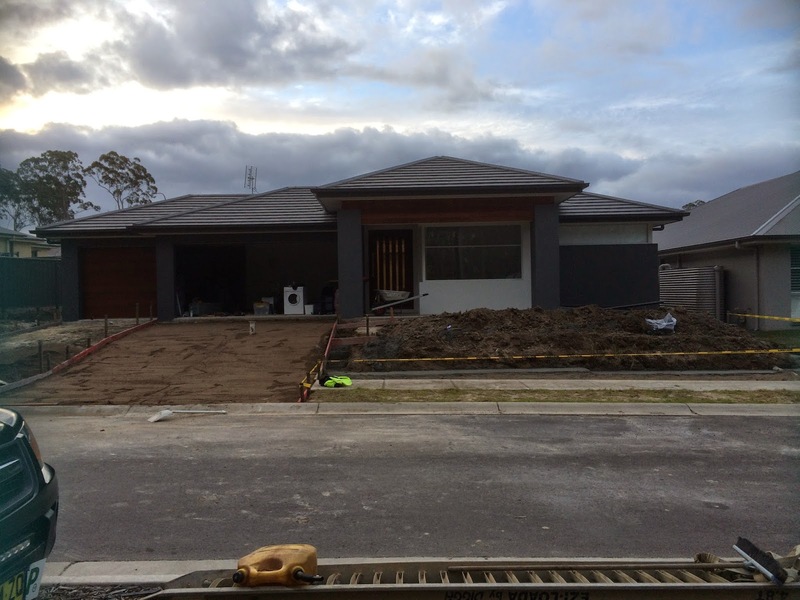 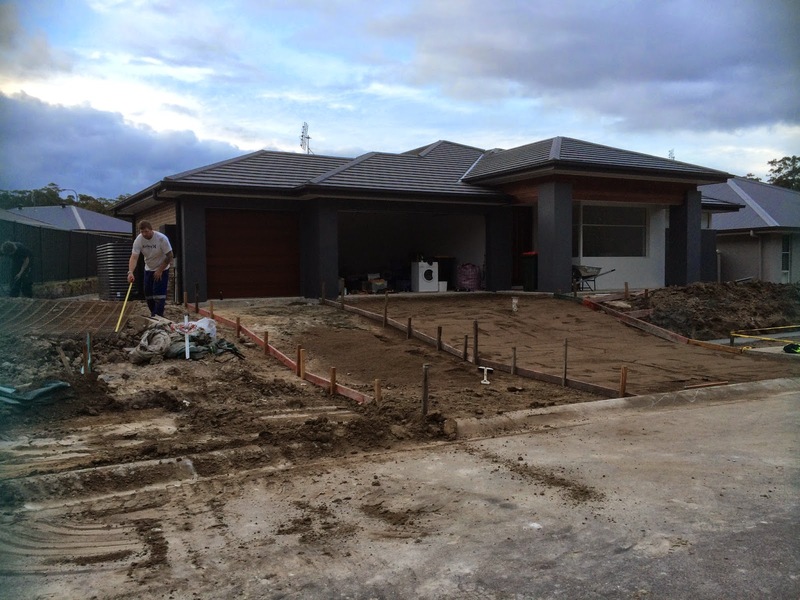 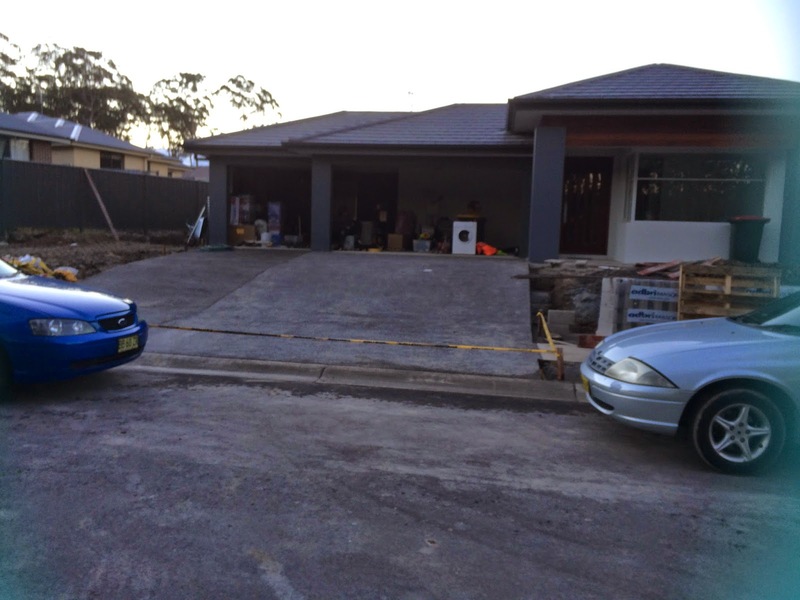 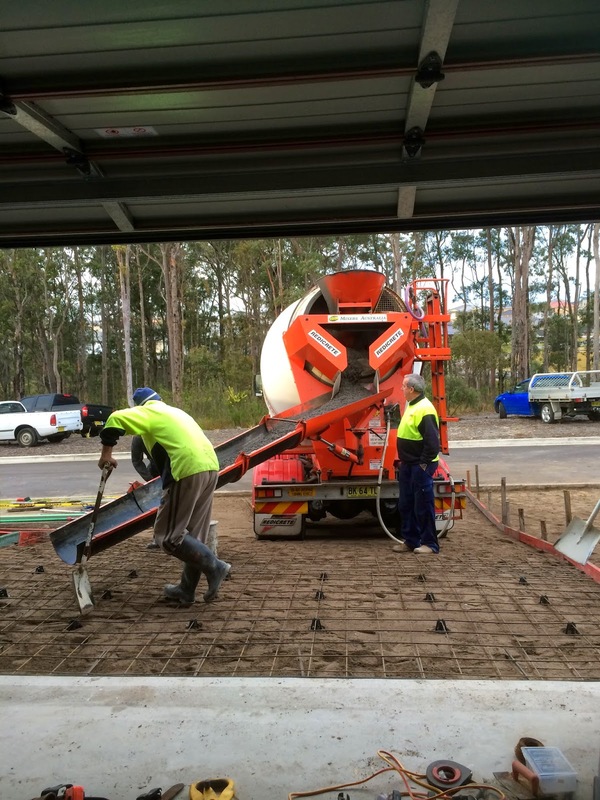 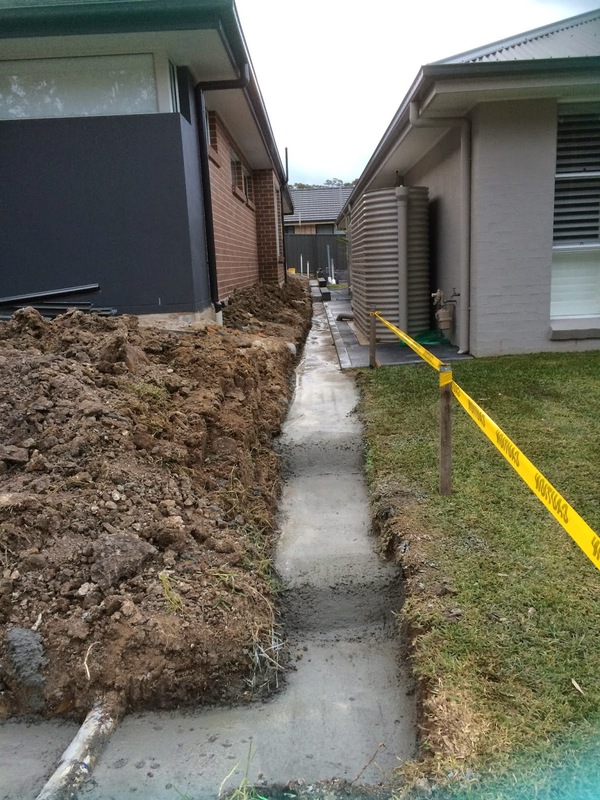 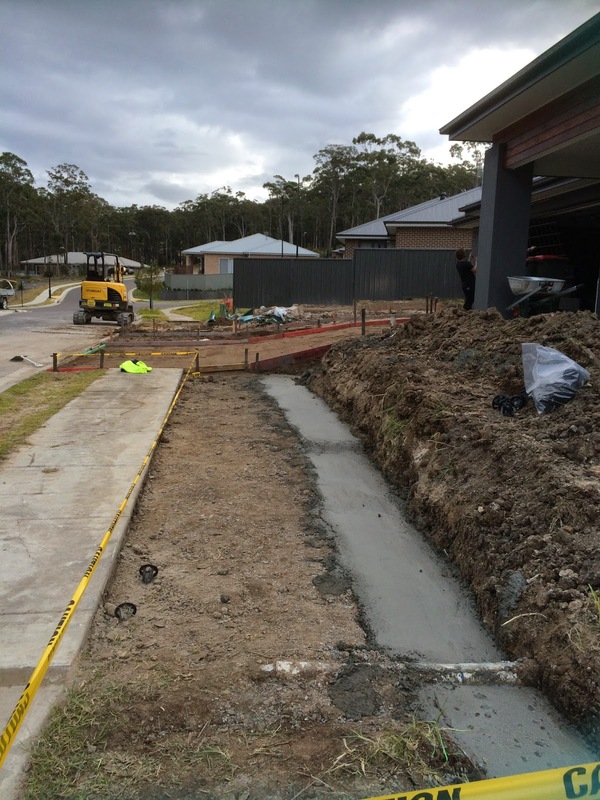 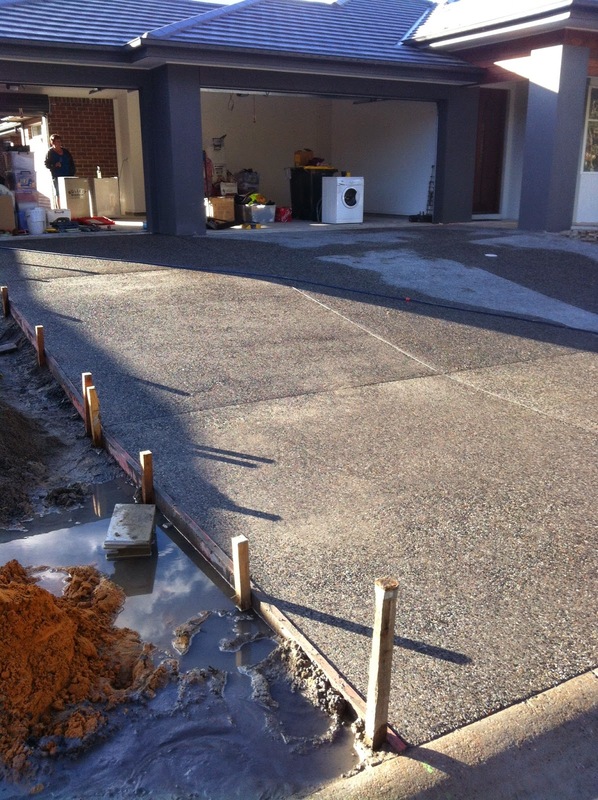 The footings were poured on the monday after handover, and then the driveway was formed up ready for the first half to be poured the following day, the the last section on the wednesday. 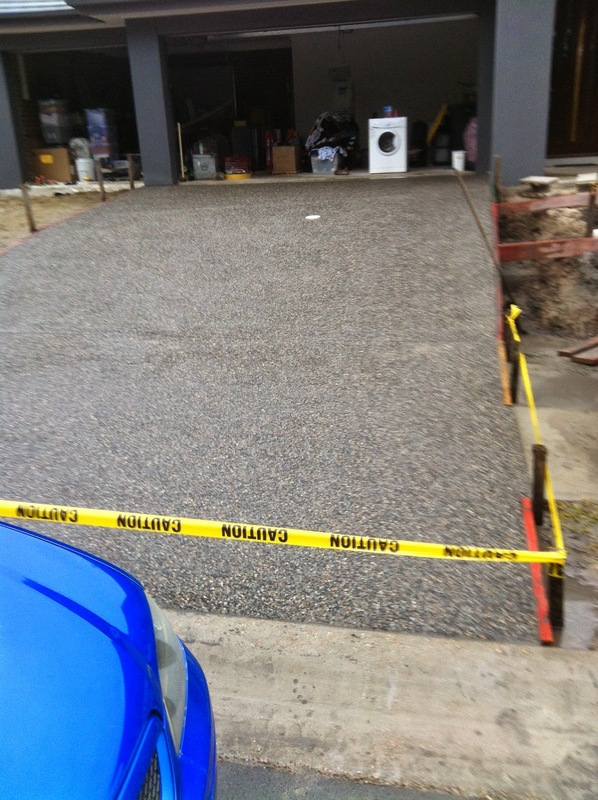 We went with exposed blue/black metal, which when sealed comes up a nice dark grey colour and shows up the black stones really nicely. 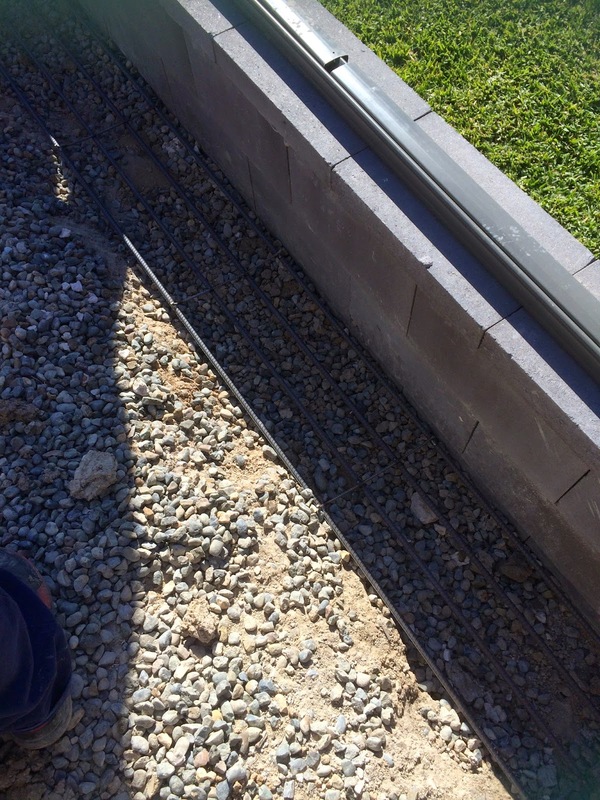 We are going to do the same around the pool area, and have polished expose in the same colour on the alfresco area so it all ties in together. 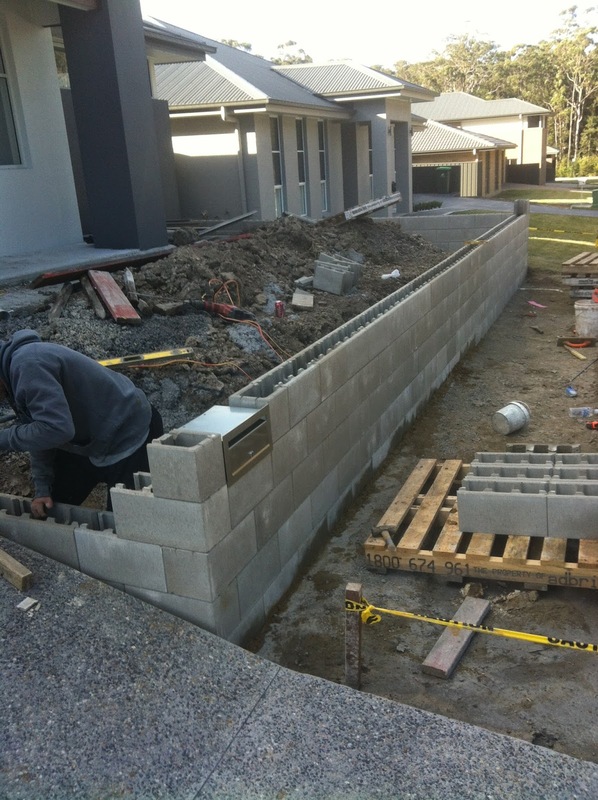 Wednesday, after the drive way was poured, construction of the retaining walls started., with 95% of it completed by saturday morning. 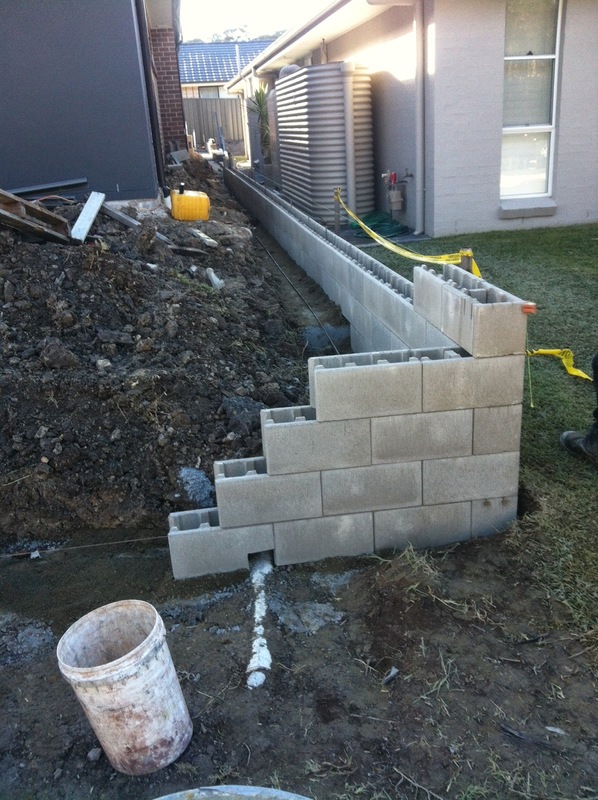 We will need to get some more blocks delievered to finish off the rest next time hubby is home. 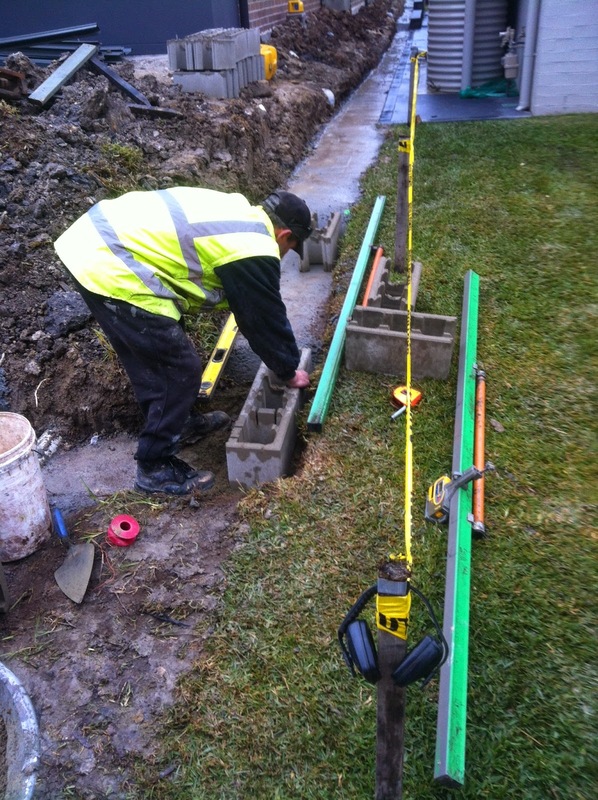 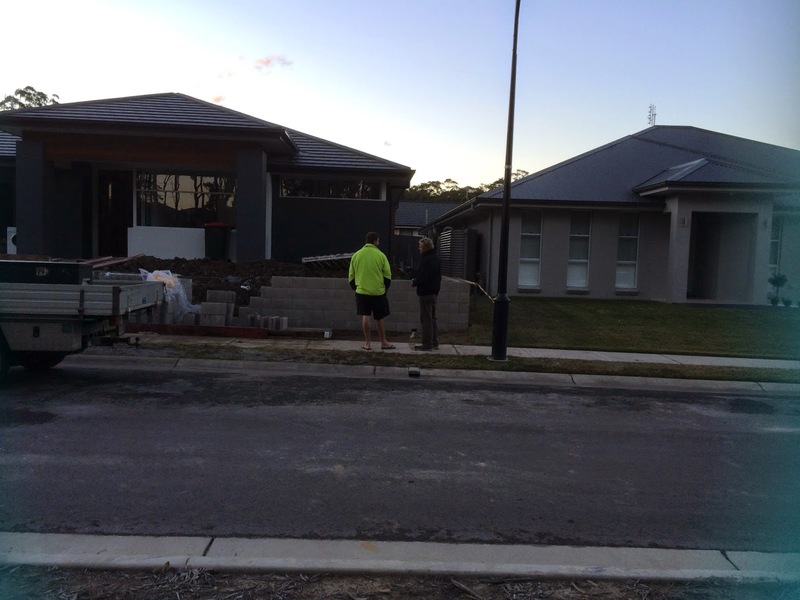 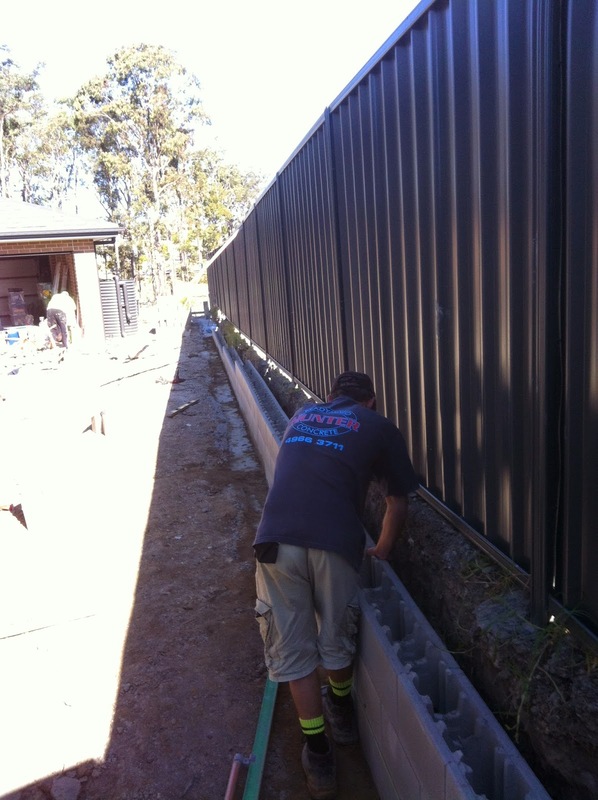 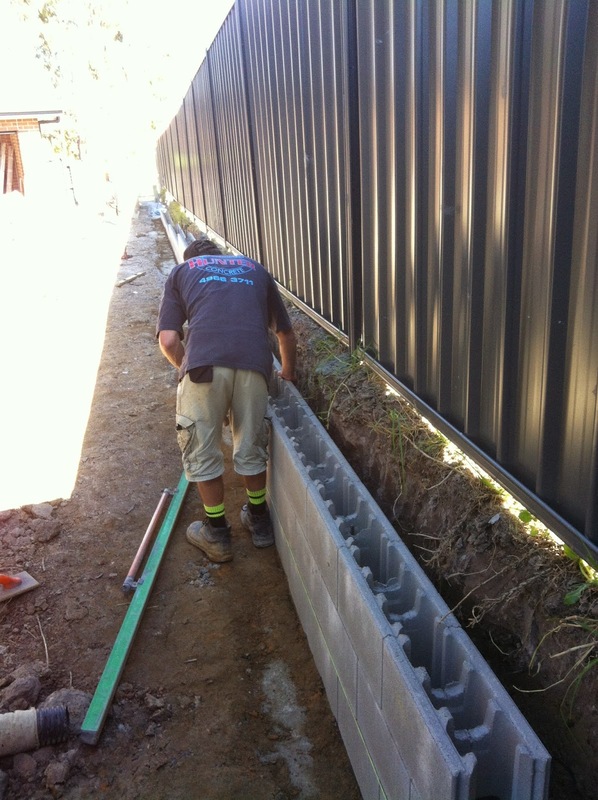 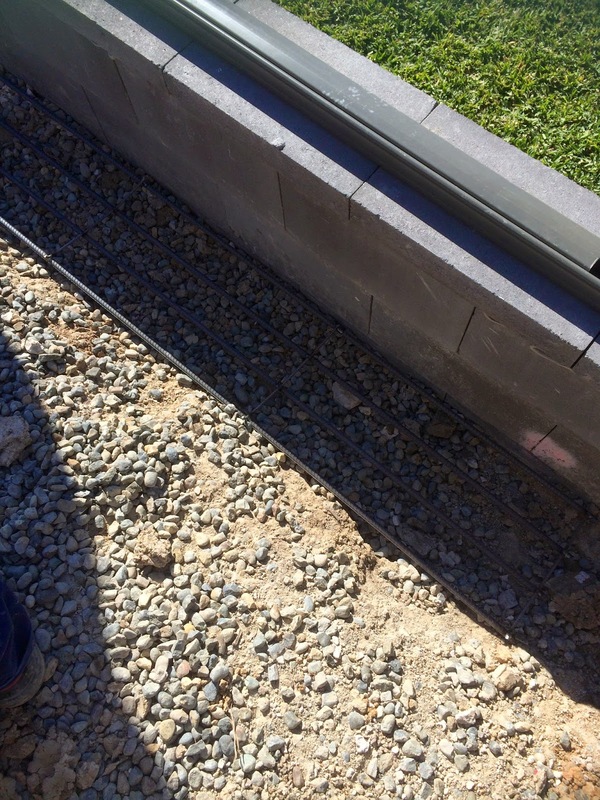 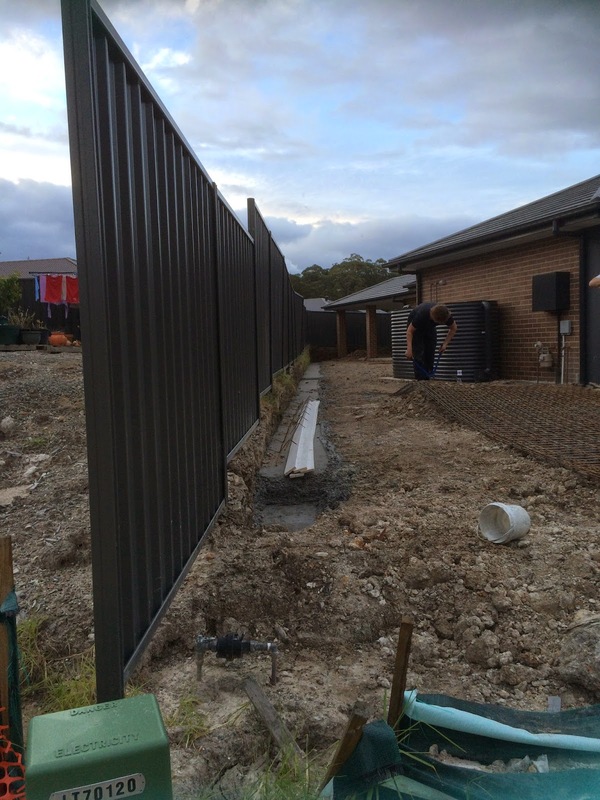 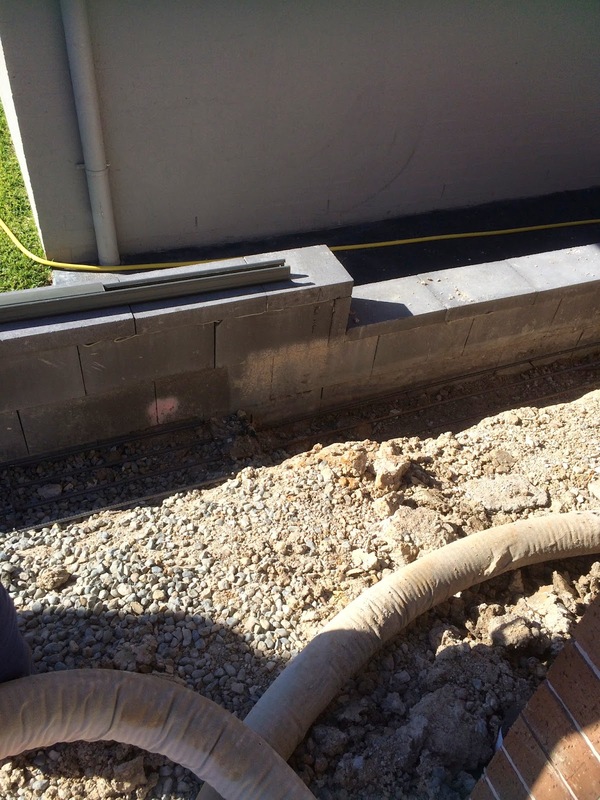 We core filled the retaining walls on the following monday, and installed the agi line and re-erected the side fence and sealed the driveways the following day before hubby flew back out for work. 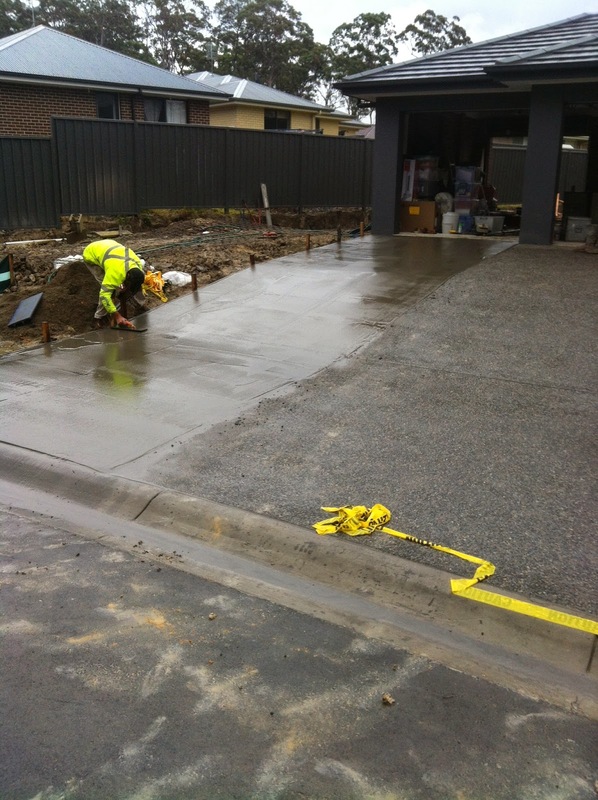 So much progress since handover wow good job!